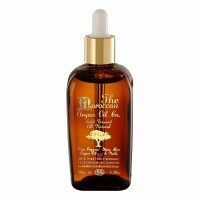 The best quality argan oil available guaranteed or money back! COLLECT 7 OF OUR EMPTY BOTTLES ,SEND THEM BACK TO US EMPTY TO CLAIM A FREE BOTTLE! RECYCLE AND SAVE! SKIN (keeps it moisturised, smooth and soft, protects from UV rays, combats free radical damage & restoring cells. Great for anti-aging and glowing skin. Used by everyone from Princess Lalla Salma of Morocco to celebrities like Gisele Bündchen, Eva Mendes,Taylor Swift, Charlize Theron, Madonna, Angelina Jolie, Jennifer Aniston, Scarlett Johansson, Kylie Minogue who all love this oil as it's packed with omega 6, omega 9 and vitamin E which restores damaged skin cells. Now everyone can use it and enjoy the amazing results! 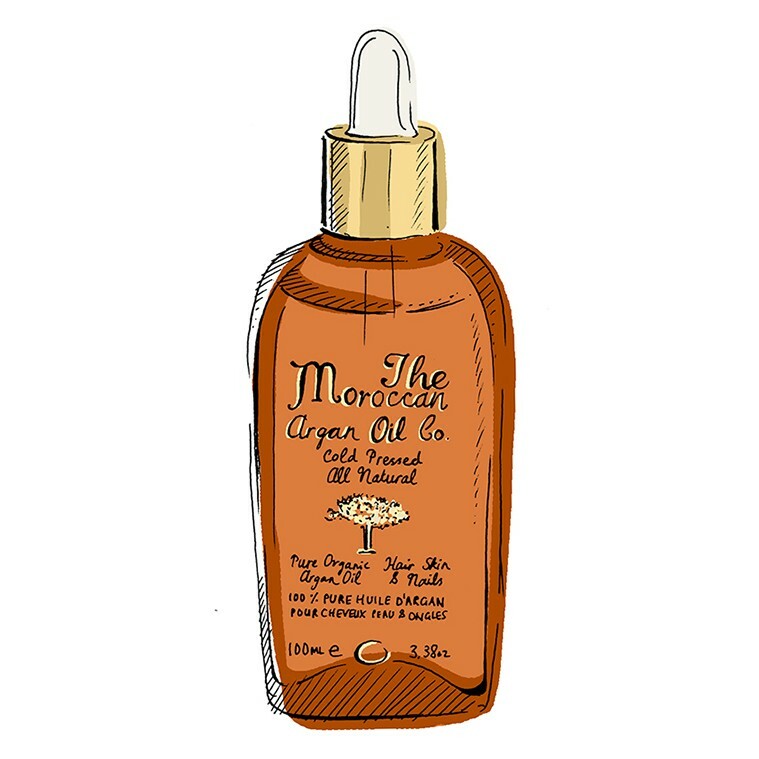 HAIR - Let The Moroccan Argan Oil revitalise hair, stimulate growth & restore shine. a good amount into your feet, toes and heels. Cover with socks & wake up to supple feet. SKIN-I'm delighted to say Moroccan Argan Oil has replaced so many of those bottles in the bathroom cabinet. There's now no need to take all those bottles on holiday either. Full of essential fatty acids, anti-oxidants, vitamins and minerals that promote your overall health by moisturising, softening and protecting your face from the sun damage. Of course it's free from harmful toxins and parabens too. Argan Oil on your face and neck. It absorbs quickly so if your skin is dry try using it as serum before applying night cream. Warm a few drop of the oil in the hands, then manage into the skin, nails taking care around the delicate eyes area. For hair, you can us it as a mask : wrap the hair in a towel or shower cap 5-20 minutes then shampoo as normal. 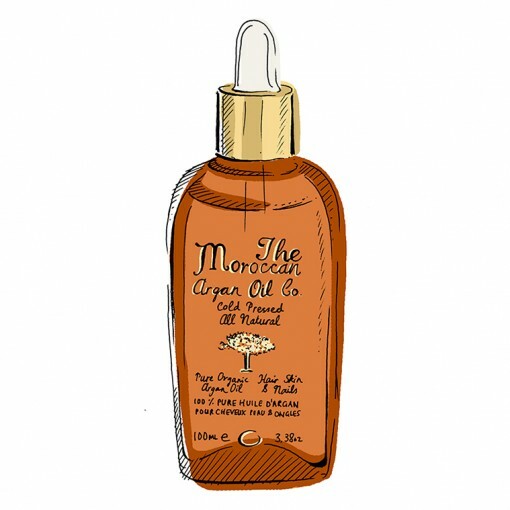 1)Hair Treatment - Massage a generous amount of Moroccan Argan Oil into your hair, ends and scalp. Wrap your hair and leave it on while you sleep. In the morning, wash your hair and you'll have luminous, soft locks. If you need a quick fix or your hair isn't too dry you can leave on for an hour before washing. 2)Hair Styling Shine - When your hair is dry use as a styling product by adding a few drops of Moroccan Argan Oil to the palms of your hand. Rub your hands together and run your fingers through your hair to create shine and tame that frizz! hair ends and scalp and hydrate and moisturise. It's especially nourishing if your hair is dry from daily use of a hair dryer, straightening irons or curlers. 4)On holiday you should apply Argan oil before swimming or sunbathing. It'll protect your hair from the sea, chlorine and sun keeping your hair in good condition. A must have for your beach bag. 5)I'd also suggest using it on colour treated hair as bleach really does dry your hair out. You can even use it on your hair before the colour is put on to give your hair some protection. 6) Another suggestion would be to mix equal amounts of Morrocan Argan Oil and lemon juice in a bowl and soak your fingertips for 10-15 minutes. Then rinse hands, drying gently. Spray Argan Oil deeply into your nails and cuticles and leave. Repeat this once a week and see the difference. rinse. For a quicker fix rub a few drops of Moroccan Argan Oil onto your lips daily. baby and help minimise stretch marks too. Sent for this product for my wife as she was getting really dry skin on her face within a few days of using the Argon oil she noticed a distinct improvement in her skin she now uses the oil everyday. 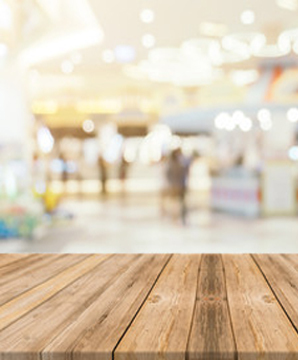 Wonderful Product, Wonderful Seller ! 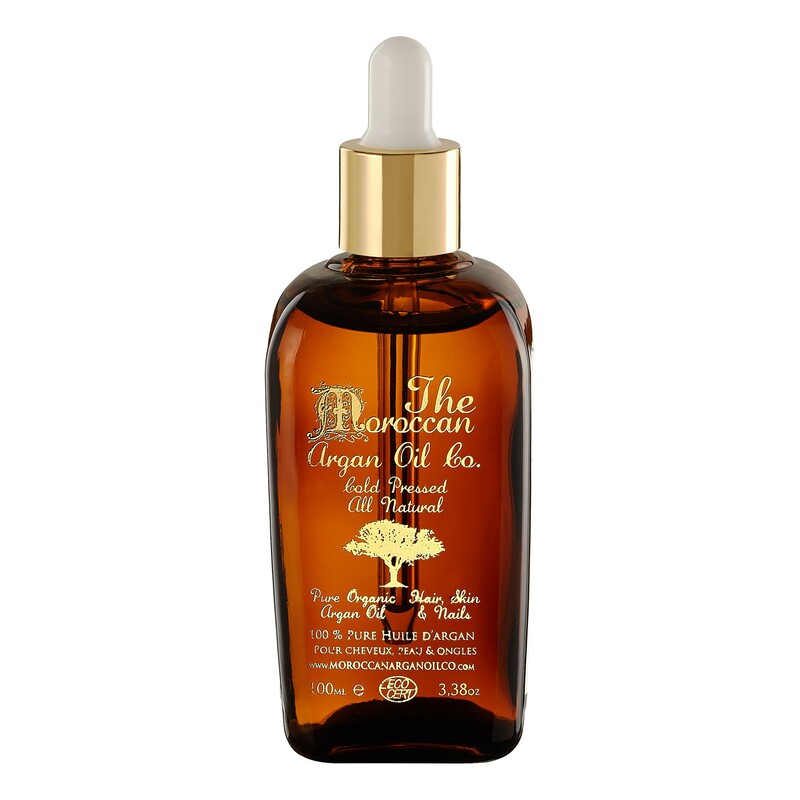 I purchased this Argan Oil for my daughter after hearing all the wonderful benefits! I had a problem with the delivery as it leaked but after speaking to the seller it was all sorted and very quickly very impressed with the Wonderful Personal Service and product in a beautiful authentic bottle will shop again most definitely. I have noticed so far what a Wonderful Quality Product and I understand why so many people are using it for the benefits my daughter purchased it for her coloured hair ends but has also used it to moisturise her skin and nails and we've both been very impressed. I recommend it for everyone Male or Female as men as like a Pamper too! I am a long suffering eczema sufferer and tried all the creams on the market. I find I need to change products regularly and thought I'd give a natural product a go after using so many chemicals for so long. I use it generously on my skin and it feels really good. No reactions and great to feel that I'm not putting chemicals into my skin.